The Audi e-tron, once dubbed by avid Tesla critics as a potential “Tesla Killer,” is reportedly running into production problems due to a constrained supply of batteries and a slower-than-expected delivery of electric motors. These production problems have reportedly caused Audi to postpone the release of its upcoming all-electric car, the e-tron Sportback, to 2020, roughly a year later than its intended 2019 release date. Sources familiar with the activities in Audi’s Brussels plant have told The Brussels Times that the German carmaker is currently being constrained by LG Chem, which supplies the e-tron’s batteries. LG Chem is the supplier of choice for a number of electric vehicles, such as the Porsche Taycan and the Jaguar I-PACE. The local publication’s sources claim that LG Chem is pushing up prices, resulting in Audi having to compete with rival automakers like BMW and Mercedes-Benz to acquire batteries for the e-tron. This is but half of the e-tron plant’s current issues, according to the Times‘ sources. Audi is reportedly seeing delays in the deliveries of the e-tron’s electric motors as well. The SUV’s electric motors are delivered from an Audi plant in Györ, Hungary, whose workers participated in a strike earlier this year. As a result of these issues, the Brussels plant has reportedly shortened its operations to just 6 hours a day to match production to parts availability. The sources claimed that Audi will likely shift the plant to a 4-day work week in the near future. It is unfortunate to see Audi encountering production issues with the e-tron, its first all-electric vehicle. Audi is one of the auto industry’s biggest names, having been founded in 1909. Despite its extensive experience in building cars, the company has proven to not be immune to the difficulties of electric car production, something that younger companies such as Tesla have been dealing with for years. Prior to the e-tron’s launch, the vehicle was hyped by Tesla critics as a potential “Tesla Killer,” citing, among other things, Audi’s experience in car manufacturing. As the company is learning now, it appears that building electric cars might not be as easy as Tesla skeptics would think. Mass producing electric cars is something that Tesla continues to learn. After a gruelling “production hell” with the Model 3, Tesla has arguably become one of the most experienced electric car makers in the auto industry despite its young age. This has allowed the company to have enough foresight to secure the supply of batteries (at least to a large degree) for its electric vehicles, as represented by Gigafactory 1 in Nevada. The company has also opted for a notable degree of vertical integration, producing its vehicles from the ground up using hardware and software that were developed in-house. The Audi e-tron is equipped with two electric motors that deliver a total power output of 300 kW, as well as a sizable 95 kWh battery that delivers and EPA rating of 204 miles of range on a full charge. The e-tron is no slouch as well, being capable of sprinting from 0-60 mph in 5.5 seconds in “Boost” mode. The all-electric SUV is expected to start deliveries in the United States next month, though it remains unsure if there will be delays due to the company’s reported issues in the Brussels plant. Porsche has just launched its new 992-generation 911 sports car and you can bet there’ll be just as many variants, if not more, that we saw with the previous 991 generation. We’re talking close to two dozen variants, from the base Carerra right up to the GT2 RS. 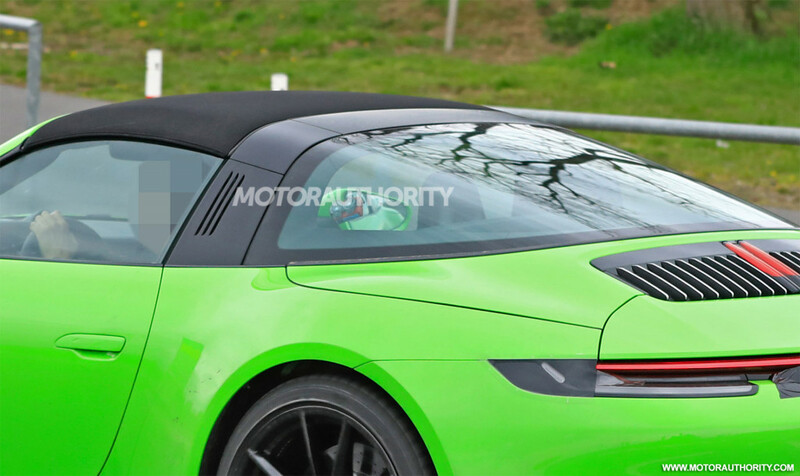 Our latest spy shots show a prototype for the Targa, likely in rear-drive Targa S or all-wheel-drive Targa 4S guise. The previous 991-generation offered the Targa right up to GTS level. The prototype is devoid of camouflage gear meaning the debut should happen this year, possibly at September’s 2019 Frankfurt International Motor Show. We’ll likely see the car arrive at dealerships next spring as a 2021 model. It looks like Porsche has once again gone with a design that echoes the original 1965 model, including the signature rollover bar, retractable soft-top roof, and wraparound rear window. It also looks like Porsche will once again offer a black satin finish for the rollover bar, as opposed to the classic silver look. 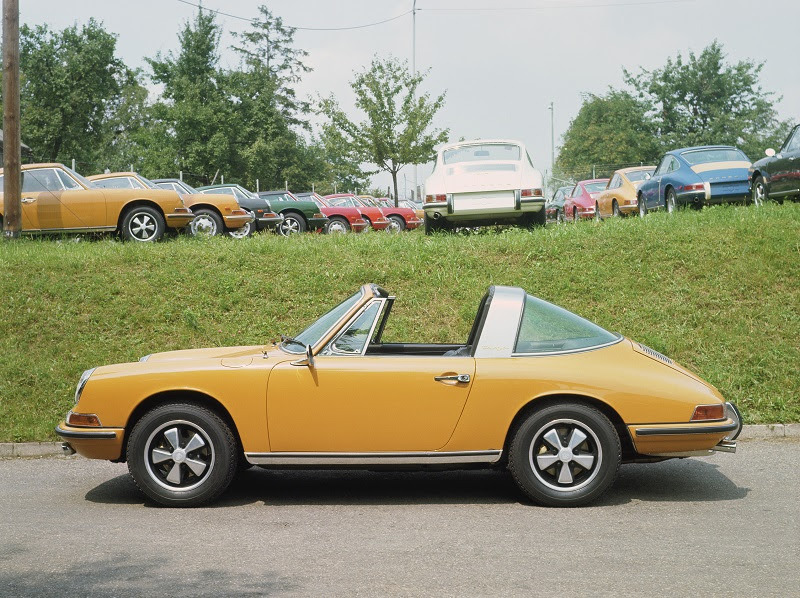 Other than the roof, the Targa should be identical to the Carrera variant on which it is based. So far Porsche has only released specs for the 992 generation’s Carrera S and Carrera 4S variants. In each case, there’s 3.0-liter twin-turbocharged flat-6 generating 443 horsepower and 390 pound-feet of torque. The sole transmission for now is an 8-speed dual-clutch unit but a regular manual is coming. If you’re ready to order an open-top version of the latest 911 right now, the regular Cabriolet is already on sale. It starts at $127,350 for the Carrera S Cabriolet. The arrival and the succeeding disruption being brought upon by the Tesla Model 3 has been palpable, especially in the United States’ auto market. While the all-electric vehicle experienced some delays during its initial production, it was nonetheless successful enough to be hailed as the US’ best-selling luxury vehicle of 2018, selling a total of 145,846 units over the year. This is something that has not gone unnoticed by veterans of the car industry. At a forum co-hosted by the National Automobile Dealers Association on Tuesday, Scott Keogh, the chief executive officer of Volkswagen AG’s US unit, noted that Tesla has all but proven that electric vehicles are here to stay. The exec noted that Volkswagen plans to release electric cars of its own, including a small, all-electric SUV that will be part of its $800 million investment in its Chattanooga, Tennessee plant. The Volkswagen executive’s statement stands in stark contrast to the words of Toyota Motor Corp. executive vice president of sales Bob Carter. Addressing the attendees of the event roughly an hour after the Volkswagen executive, Carter argued against all-electric vehicles, stating that EV batteries are still far too expensive to be feasible. The executive stated that Toyota will eventually introduce an all-electric vehicle too, though he declined to give an estimated date for the vehicle’s release. It is quite ironic to see Volkswagen, a company whose reputation was tarnished by its high-profile dieselgate scandal, seeing the writing on the wall with regards to electric car adoption. Toyota, which pretty much started the green revolution with the release of the Prius over two decades ago, is showing what appears to be a stubborn tendency to deny electric vehicles as a whole. The Toyota executive’s comments about battery packs costing $34,000 alone is a notable example of this, since Tesla is currently selling variants of the Model 3 that cost only a few thousand dollars more than Carter’s battery pack cost estimate. As for the Tesla Model 3, the vehicle is now disrupting other auto markets abroad. In Europe’s first quarter, car sales in the region dropped 3.7%, aggravated by issues such as a potential tariff war, the possible failure of Brexit, and the possibility of EU penalties if it can’t meet carbon dioxide emissions rules, to name a few. While companies like Fiat Chrysler Automobiles dived 12.7%, Tesla experienced a notable boost in the first quarter, thanks largely to the Model 3, which became Germany’s best-selling electric car just two months after it arrived in the country.